The Rootes Group started building a Sunbeam Alpine badged car in the mid 50s known as the "Mark I & III," but the Alpine you see here today is from the "Series" production that was sold from 1959 to 1968. The styling likeness to the original Ford Thunderbird is not a coincidence - one of the designers was a former Ford man, and later Carrol Shelby worked with Rootes to put a Ford V8 into the front of the Alpine to turn it into the Tiger. 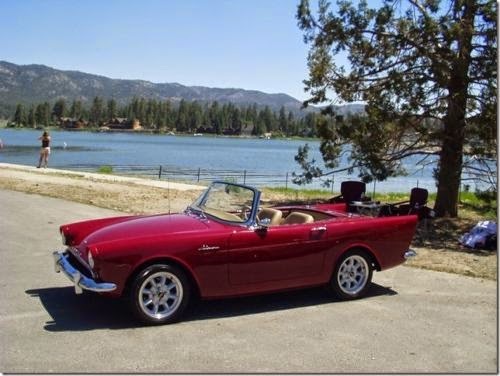 It is only natural when you are swapping out the stock engine to find something from the Ford catalog, like this 1962 Sunbeam Alpine with Ford V6 offered here on eBay , currently bidding for $12,600 reserve-not-met with 3 days to go. The Alpine is a handsome car, with good proportions and a simple catfish smile up front. This one has been through a complete herb crusted rotisserie restoration and rides on a nice set of Panasport 15" wheels. 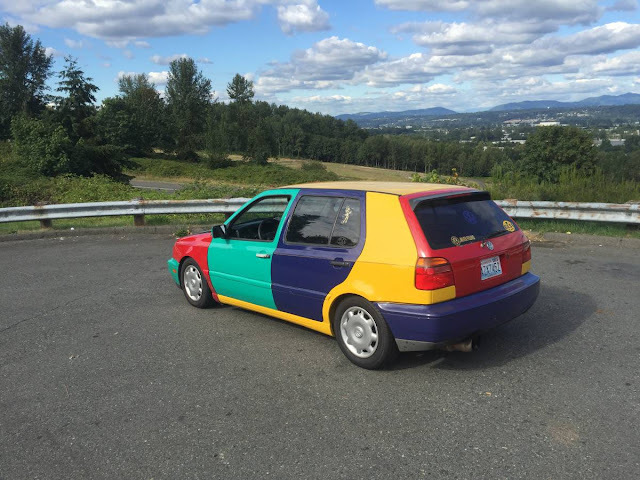 If done correctly, this could be a really nice looking car, but it is hard to tell in the low res photos provided by the seller. The original 1.6 liter inline-4 cylinder engine is gone and this Alpine is now powered by a Ford V6 displacing 2.8 liters that has been slightly warmed over. Performance should be considerably improved over stock and it shouldn't hurt value much. 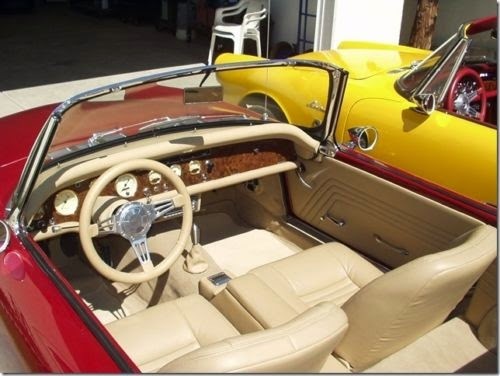 The interior has also been fully restored and features VDO gauges hooked up via an 8 circuit Kwikwire Harness. This could mean that the ghost of Lucas has been fully purged from this British classic and the idea of an electrical gremlin free classic sounds great...but...custom wire harness can also be problematic with age or improper installation. I guess it's an interesting swap, but I have to ask this: If you went to all the trouble to put a 2.8 in there, why not step up to the big-kid 4.0? 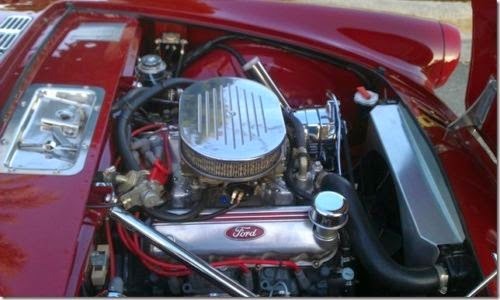 I mean, it sounds like this engine is worked on, but to me this is the same as all those guys who used to hot-rod 307 Chevy engines and ended up with less power than a stock 350 (which didn't cost any more in the first place). Is the disc brake rotor on the front of the rear axle actually the rear brakes or just the emergency brake? 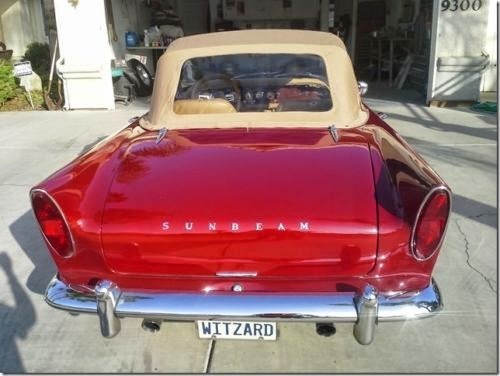 This looks closer to an amphicar than a Thunderbird, though very nice.